In many cases, when someone is looking for a storage facility like Affordable Family Storage, it’s because of a big move. In fact, the chances are that if you’re reading this, you’re looking at storage units before you move to a new home. 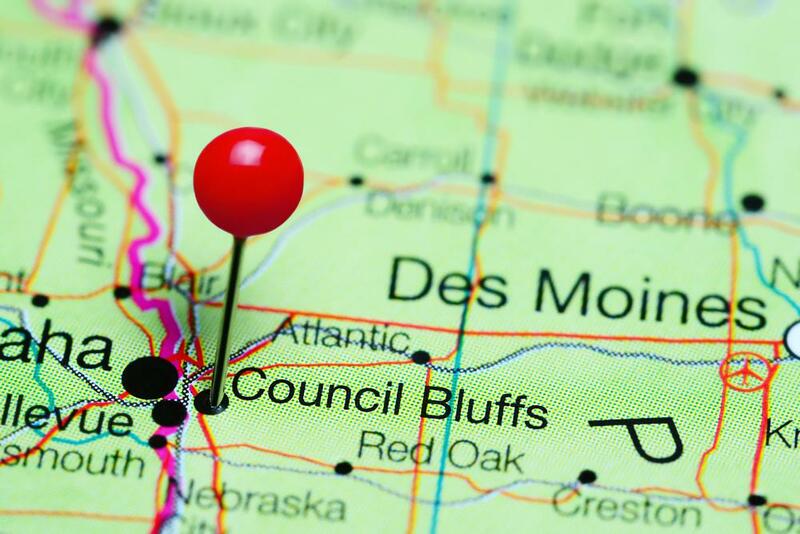 Have you considered a move to Council Bluffs, Iowa? Affordable Family Storage can explain why you should! We have storage facilities based throughout the Midwest, and we’re happy to explain the perks of living around any one of them. From its beginnings as a settlement named Traders Point in the early 1800s for the trading of deer, elk and buffalo furs, to become the ending stop for the Rock Island Railroad years later, Council Bluffs is rich in history. By the 1930s, Council Bluffs was one of the biggest rail centers in the United States. Three local museums chart the industrial history and culture of Council Bluffs, and today the town is dedicated to becoming known for cultural enlightenment and public art projects. Speaking of cultural enlightenment and public art, Affordable Family Storage encourages anyone looking for somewhere picturesque to live to consider Council Bluffs. The town of Council Bluffs itself became known for its importance to the rail and transport industry and is now home to beautiful architectural design to commemorate its history with museums and monuments. Outside of Council Bluffs itself is the lush greenery of the Midwest. Council Bluffs also offers a quick and easy commute to Omaha, in the neighboring state of Nebraska. If you’re looking for specific work in a larger city but appreciate the appeal of small-town life, then Council Bluffs might be your ideal in-between. That’s not to say that Council Bluffs itself doesn’t have plenty to offer when it comes to convenient, modern living. You’ll also find great schools and a lively college town atmosphere. If you’re looking for somewhere with low property, auto, and sales tax, Council Bluffs might be the place for you. Cost of living in Council Bluffs is low, while the quality of life and culture is high. Affordable housing and beautiful Victorian homes, friendly atmosphere and picturesque countryside - it’s no wonder Affordable Family Storage picked Council Bluffs as one of our many locations! Ready to make your big move? Whether you’re moving to Council Bluffs or anywhere else nearby one of our midwest storage facilities, Affordable Family Storage can help. With modern, secure, climate-controlled storage units, you can be sure your stuff is taken care of, wherever you are. Call our 24-hour customer service team about renting your storage unit today.